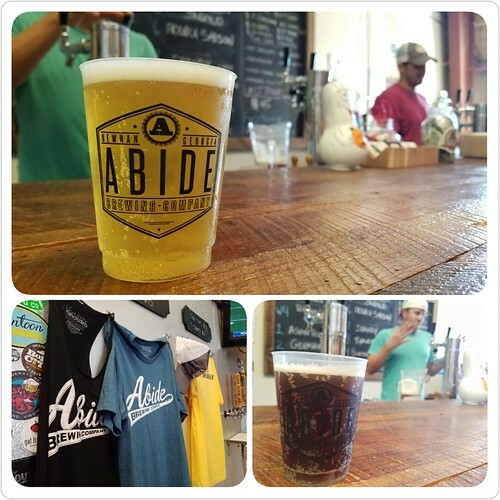 Located just 20 minutes southwest of Atlanta at 130 West Industrial Blvd in Newnan, Abide’s setup is small, but includes a tasting room, games, and seating area for folks who want to drink local. The brewery is only open on Saturdays: 1-5PM with additional hours the second Tuesday of the month: 6-9pm, and the last Sunday of the month: 1-4pm. Georgia beer law doesn’t allow Abide to operate their tasting area as a traditional taproom, so in order to sample their suds you’ll have to take the tour, buy a souvenir glass, and then get your samples. But don’t fret, if you’d prefer to grab a pint or fill your growler, their beers are offered abundantly in the surrounding six counties. A complete list of establishments that carry Abide on tap is located on their website. We were fortunate to be passing through on a Saturday and got to take the tour. Philip, one of the founders, showed us around and talked about the phenomenal growth they’ve experienced in just two short years. 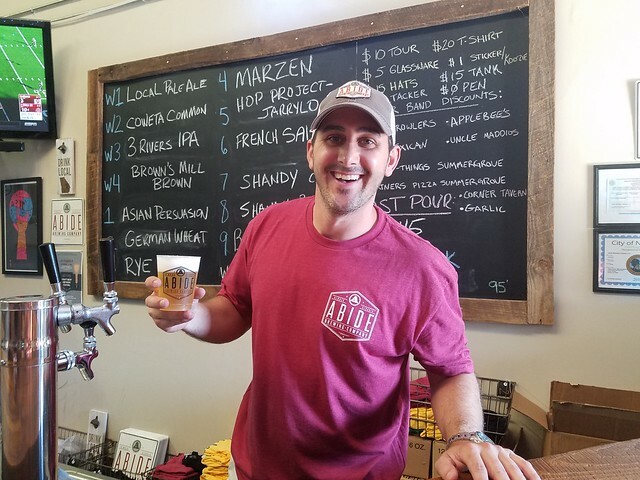 As far as their future growth is concerned, if the size of the crowd huddled around the brewing area just before closing time is any indication of how much locals love their homegrown beer, Abide’s long-term growth prospects are an inevitability.